European and Greek officials might have welcomed last week’s Eurogroup debt deal for Greece with expressions of satisfaction and relief but it was actually Berlin that scored the largest victory, Kathimerini understands. 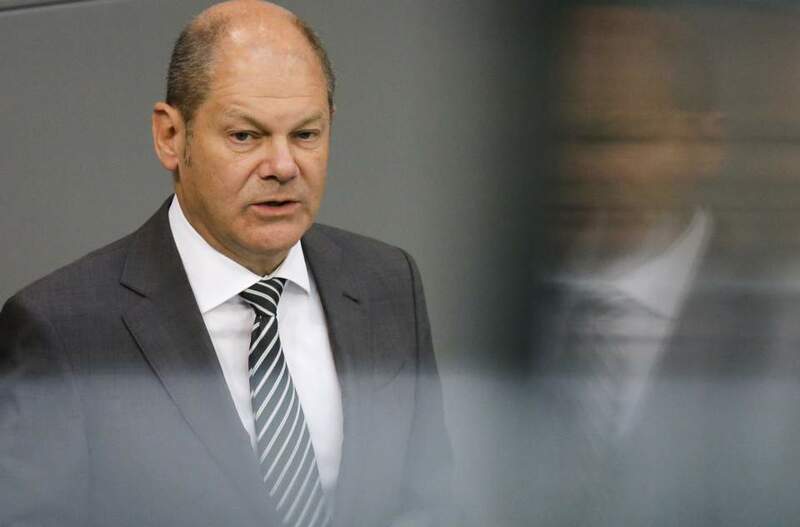 In the early hours of Friday, following a marathon session of negotiations in Luxembourg, German Finance Minister Olaf Scholz told reporters that the 10-year extension that was presented as a compromise had actually been Berlin’s goal from the beginning. Negotiations at the Eurogroup on Thursday afternoon stumbled chiefly on the length of the extension of loan repayments that would be granted to Greece with reports that Scholz had not been willing to discuss the extension of loan maturities beyond three years. Eventually though, it transpired that this stance by Berlin was a bluff. “Then when the 10-year extension was eventually agreed, everyone would be happy,” Scholz said. In any case, Berlin had the upper hand in negotiations from the outset, particularly when it became clear that the International Monetary Fund, which had been pushing for more substantial debt relief for Greece, would not be contributing financially to the third bailout which ends in August. The government’s insistence on securing a “clean exit” without a precautionary credit line was also a boon for Germany, which was reluctant to take another financial package to the Bundestag.